Kellogg’s, Is your gut fibre fit? For generations fibre has been seen as something that only old people need to think about. 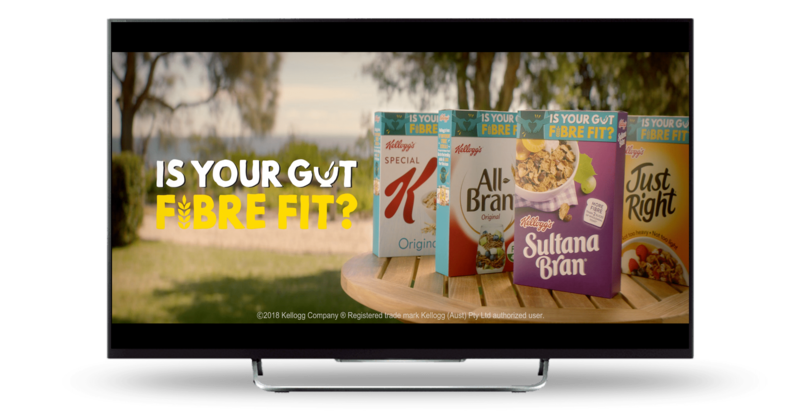 But with the rise in awareness around the importance of good gut health, Kellogg’s saw an opportunity to reframe fibre and grow relevance of an entire category of cereals. As a new initiative, untested anywhere in the world, Kellogg’s Australia approached the market with a competitive pitch. Going up against some of the biggest names in the industry, Akkomplice was appointed with an engagingly simple idea. We took what could otherwise be quite a complex story and made it fun, easy for anyone to understand and – crucially – compelling to shoppers. The results have been phenomenal, with growth across the entire portfolio of Kellogg’s fibre cereals and a terrific response from Kellogg’s retail partners in supporting the initiative. The strategy is now being looked at in markets around the world and a follow-up campaign is already in the works.